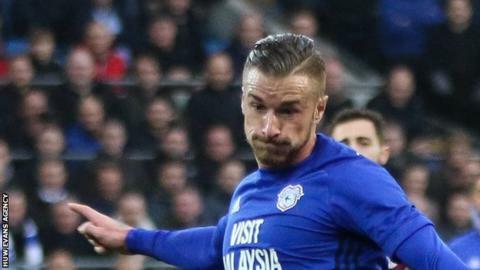 Cardiff City defender Joe Bennett has signed a contract extension that keeps him at the Premier League club until the summer of 2021. The 28-year-old joined the Bluebirds on a free transfer in August, 2016. Bennett told Cardiff City's website: "I'm really happy. It got sorted out very quickly, so now I can just concentrate on my football." He has joined goalkeeper Neil Etheridge and winger Junior Hoilett in signing a new three-year deal. Bluebirds boss Neil Warnock has also recently brought in striker Bobby Reid from Bristol City, goalkeeper Alex Smithies from Queens Park Rangers and hopes Liverpool midfielder Marko Grujic returns on loan. Earlier in June, Cardiff signed defender Greg Cunningham from Preston North End and winger Josh Murphy from Norwich. The club's executive director and chief executive Ken Choo said: "Joe has performed admirably for the club since we welcomed him here two years ago. "He seemed to reach another level in our promotion-winning season."